On New year we miss some of our friends who is in distance. Send them new year wishes card. Beautiful and sparkling new year wishes greeting card for your Asian friends. The card is designed with two friends and sparkling crackers. 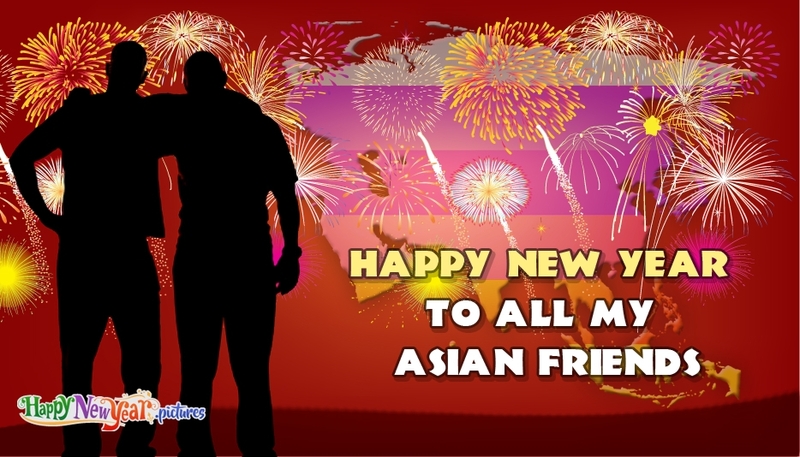 The card shows the text "Happy New Year To All My Asian Friends".